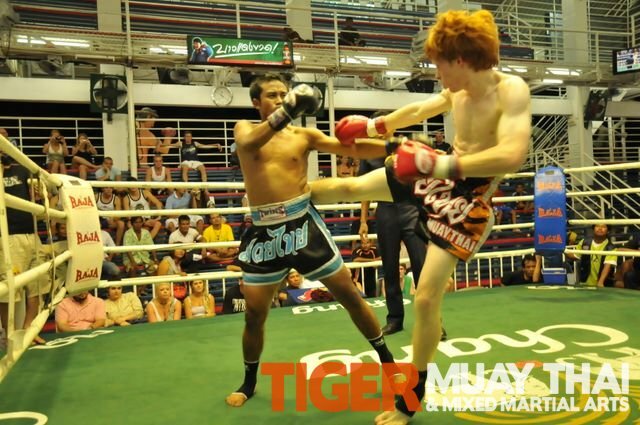 Tiger Muay Thai and MMA Training Camp, Phuket, Thailand fighters clawed their way to a perfect record over two nights in Patong and Bangla Muay Thai Stadiums going 5-0. 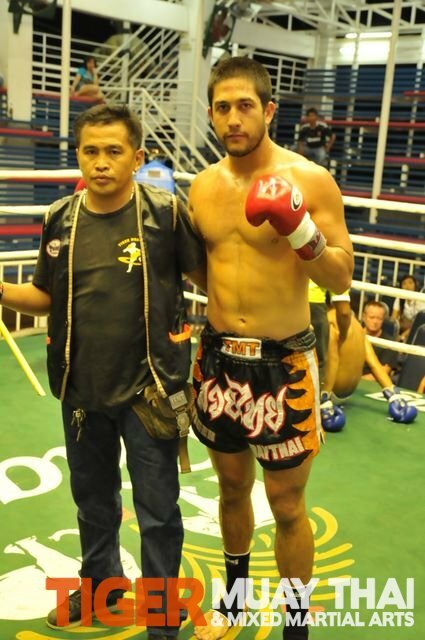 On May 13, at Patong Boxing Stadium, Robert Brigante scored a nice 1st round KO via a hard shot to his opponents solar plexus. 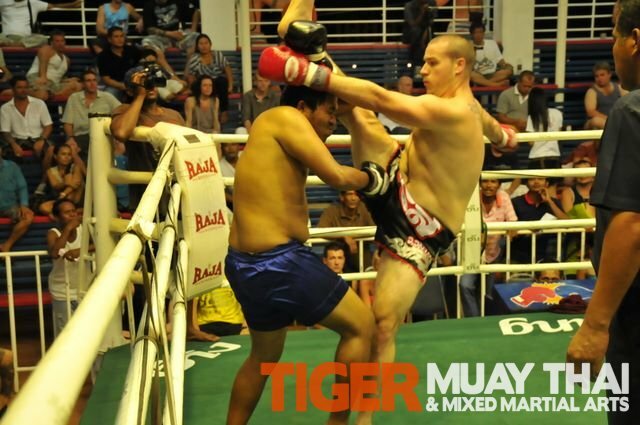 His opponent raised his arms trying to gain his breath but was waived off by the referee in the corner. Chris scored a nice 2nd round KO in his first fight taking it to his opponent. On May 16, Jonathan and Mike fro the USA scored KO’s in their first fights and James from New Zealand scored a 2nd round KO after training hard for the last month in preparation.